Available on Amazon. Click cover to view. I hope you won’t think less of me when I tell you that the concept for SAFE IN HIS SANCTUARY came to me while waiting for my clothes to dry at the laundromat. Our leadership conference at Estes Park, Colorado had ended and I was in the camp’s laundry room so I could return to Kenya with some clean clothes. While I waited for my clothes to finish, the Spirit of God was getting me excited about unfolding the deep doctrinal truths of Ephesians chapter one in such a way as to depict the artistry of its three-stanza structure. The opening chapter of Ephesians is a masterpiece. If I was sent away to an island and could take only one chapter of the Bible, this would be the one. During our internship as missionaries, I accepted the challenge of Dr. Ed Murphy to memorize the chapter because of its strong declaration of our position in Christ. But now my challenge was to write more than a commentary, of which there were many. My mission was to creatively expound teaching from the depths of the Spirit, the words of which were so sweepingly powerful they could have filled the movements of an opera. Could you hold me in Your strong arms like You held Jesus? I need to smell Your smell, to gaze into Your warm eyes. I long to hear Your voice telling me of hopes and dreams You hold in Your heart for me. Thank You for sparing no expense in finding the one Agent who could bring us together. Thank You for replacing my empty life with the full privileges of adoption. And thank You that by Your gracious love, I am the highlight of Your day (page 57)! SANCTUARY gave me a chance to express how deeply I am personally touched by my adoption by the Father, being an adoptive dad myself. The apostle wrote, “In love he predestined us to be adopted as his sons through Jesus Christ.” In the book I share about two times in my life when I was so choked up with emotion that I could not speak at all, no matter how hard I tried. Both were occasions when I was trying to thank God in prayer for our adoptive daughter Lauren. Just think, my deep love for my daughters merely reflects the love of the Father for each of us who enter His family by faith in His Son. I have to confess that over the years I’ve often prayed inappropriately. I’ve rung the doorbell when I should have walked right in. I’ve politely held my hat in the entryway when I should have tossed it on the hat rack. I’ve sat stiffly on the couch when I should have kicked off my shoes and sat back and relaxed. I’ve played the role of visitor when I should have felt at home” (page 158). Growing up, the word “sanctuary” meant church services that required sitting still for longer than the Creator intended for the legs of a young boy. So it is ironic that the term should pass muster and enter my title. In Africa I learned that sanctuary is both a place and an experience. Yes it is a beautiful, large room in which to worship God but it is also a place to withdraw out of harms way. In Nairobi in the early 1990s, protesters would flee government troops by going into a church and “seeking sanctuary.” It was of some consternation when the government police had to respect the power of the church (to sway public opinion) and leave those protesters alone for days. This understanding of sanctuary affected my choice of the word, to quote, “You see, the Sanctuary of which I speak is not one with pillars and archways that an architect would design. It’s not crafted by stone masons or metalworkers. Instead, this Sanctuary is a spiritual safe house God has created for us to enjoy forever” (page 12). I dedicated the book to my wife Lyn with these words, “Lyn, because of your greater sacrifice for the Savior, I have learned to love Him, and you, more deeply. And for that, I can’t thank you enough.” It was always more difficult for Lyn than me to live in Africa. She was sick more often, and stayed home with the girls while I traversed the landscape training pastors. She gave up more to say yes to God. I didn’t realize that my dedication would turn out to be prophetic, for not long after the book was published, her health took a turn for the worse. Within the year, we would be back in the USA groping for Sanctuary in the harshest trial of our lives. Thank you so much for your interest. I value input and questions from readers–anytime. SAFE IN HIS SANCTUARY is available at Amazon. Comments are always appreciated. And if you click “Like” or Twitter, you help me reach your friends and followers. All of this helps me share the good news when the third book is ready to go…hopefully pretty soon. 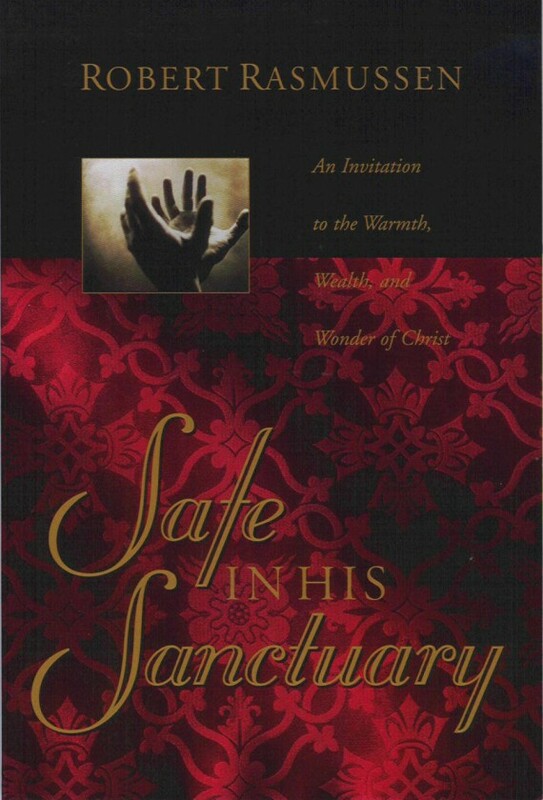 “Several years back we bought a bunch of copies of Safe in His Sanctuary to give to all of our supporters while on furlough. We are now on furlough again. I discovered we had a few leftover copies. I have them to everyone in our Sunday School class for a Christmas gift. The next Sunday, one lady came back very enthused. She said she couldn’t put the book down, and read it straight through until 4am. She continued to rave about how blessed she was by the book. “I gave the first two lady two more copies of the book, to share. She held them to her chest, and then began kissing the books! She was so grateful.